Disapproving Bun: It's nom, nom and it's gone! It would be a great shame if we were ever presented with a picture in which some nom-nom obscured that beautiful mouth, Mr. Bun. 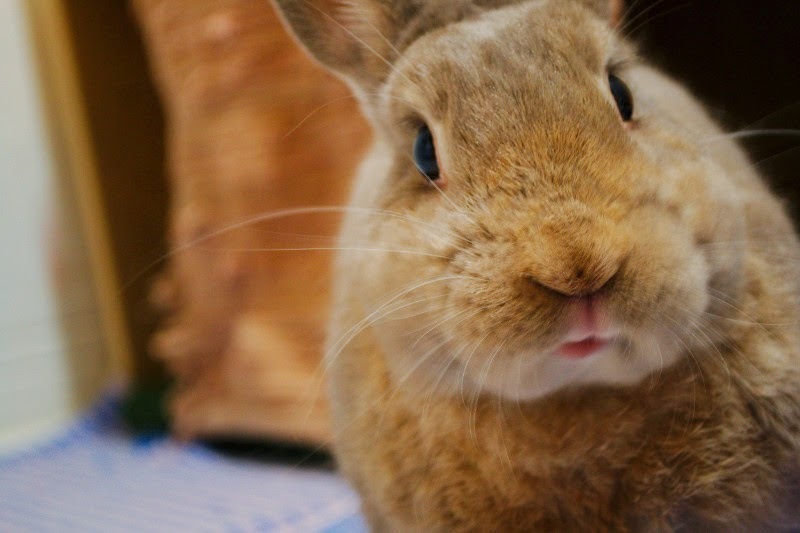 That mouf is just, well, I don't know what! Cute doesn't even begin to cover it!